In a world where we have precious little time to take a moment and just chill, I recently discovered a fabulous new way to wind down. Welcome to the world of coloring books for adults — more detailed patterns that can turn into works of art while providing an opportunity to enjoy a relaxing activity. 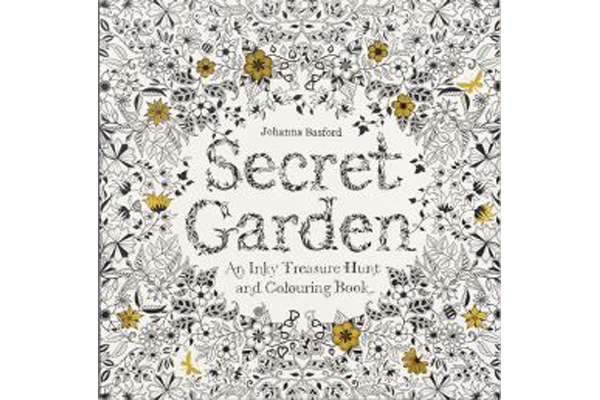 The popularity of these intricately designed pages appears to have kicked off a couple years back with the publication of Secret Garden by illustrator Johanna Basford. She quickly followed that up with a second book entitled Enchanted Forest. Take a look online or at your local bookstore and you’ll find a multitude of books full of patterned pages from which to choose. 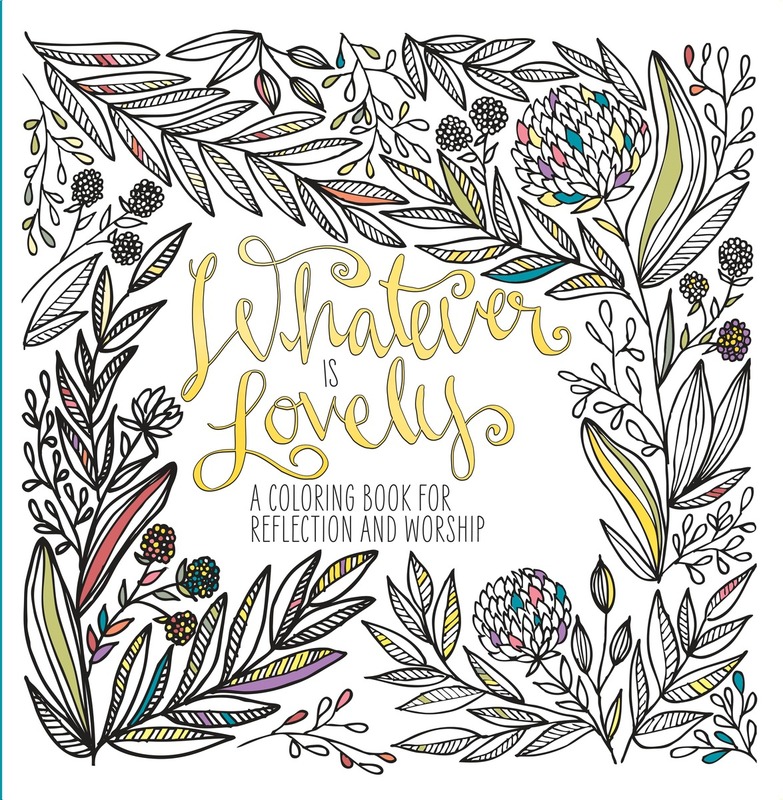 Christian book publisher WaterBrook Multnomah recently released a coloring book for spiritual reflection, entitled Whatever is Lovely. This one has different Bible verses and encouraging quotes mixed with the different scenes and patterns to color on each page, encouraging deep meditation on one concept without distraction. They even created a Spotify playlist by the same name to accompany the coloring book. So, I decided to give it a whirl and invited a few friends over for a “coloring party.” Admittedly, a few were more intrigued by the fact that we would be drinking wine while coloring, and a couple even admitted to not being sure how well they could stay within the lines. As the evening progressed, the conversation turned to a variety of topics of the day — politics, kids, work, yet everyone was able to stay concentrated on the task at hand. “It seems to be easy to focus on what you’re doing and still be engaged in the conversation,” remarks one of my guest colorists. Still another realized that if they don’t want to participate in the conversation, it’s not at all awkward for silence to ensue as everyone continues to color. “Replies are not required,” she noted. Someone else commented that they’ve heard that coloring is a good activity for those suffering from Alzheimer’s, especially those who at one time may have had an artistic leaning. The effort seems to have a calming and soothing effect on them to engage in such activity. And there’s a recommendation that coloring would be a different and fun activity to have on vacation. “Just throw some coloring pages and pencils and crayons on a table and see what happens,” she suggested. It’s definitely something to consider as an alternative to puzzles or card games. As the evening began to wind down, it became more obvious those who are a little more compulsive in their personalities. “I’m sorry but I can’t leave until I finish this,” one friend laughed. “We may be here awhile.” To which another friend retorted that’s why she chose a simpler image. While some admitted they might not take up coloring as a regular habit, like knitting or reading, it was something they enjoyed, especially in a social setting. “It’s something I could do with my girls,” remarked one mom. So I’d consider the evening a great success, even though I’m not sure if it was the wine or the coloring that got everyone into such a relaxed mood. The only drawback anyone noticed? 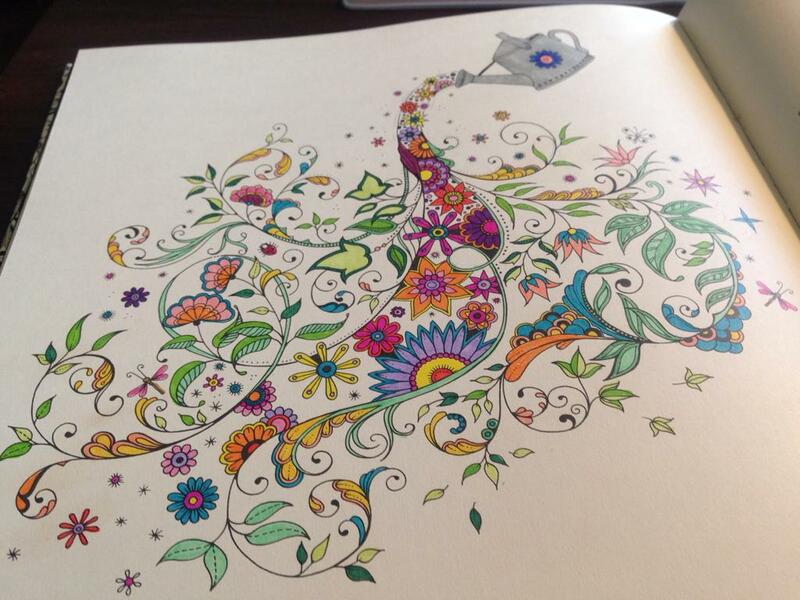 The wine drinking tends to slow down while you’re coloring.